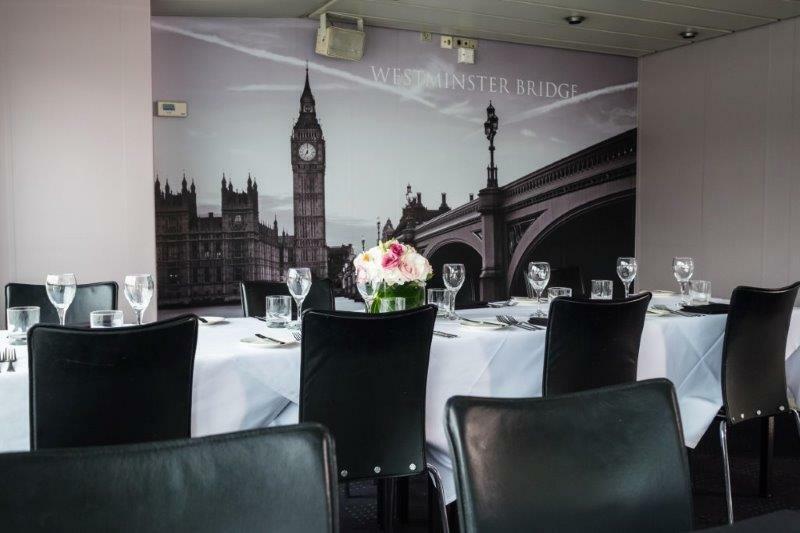 The Westminster and the Chelsea rooms combined make this Thames suite a great area for groups of 60 guests seated or 80 guests standing. 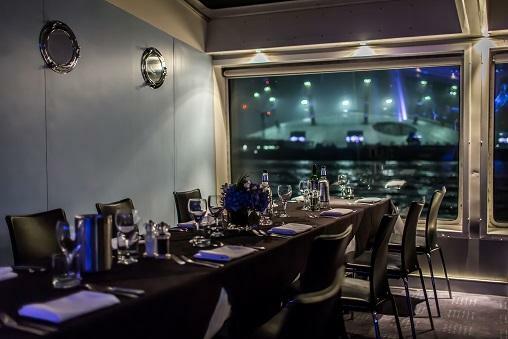 *During the winter months (or during bad weather) guests may require access through the Thames Suite to the rear and roof terraces, so we can not guarantee this will be completely private space. 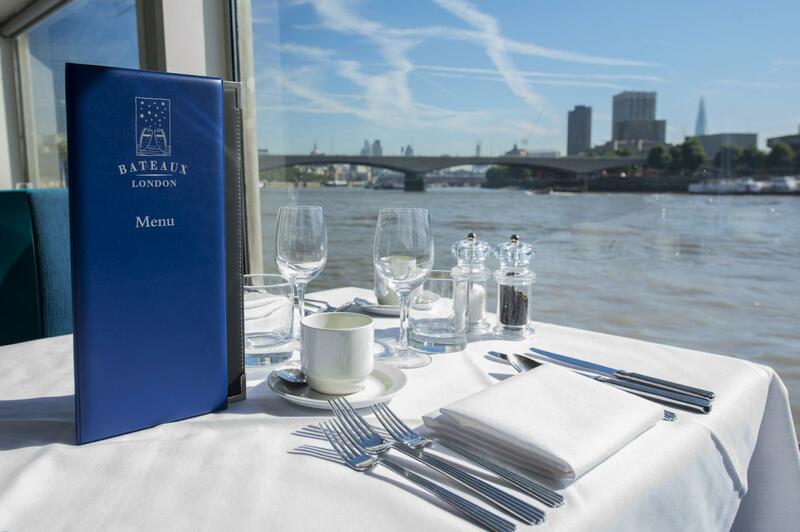 If the weather is nice, we open up the stairwell in the main room, meaning you can have the Thames Suite exclusively. 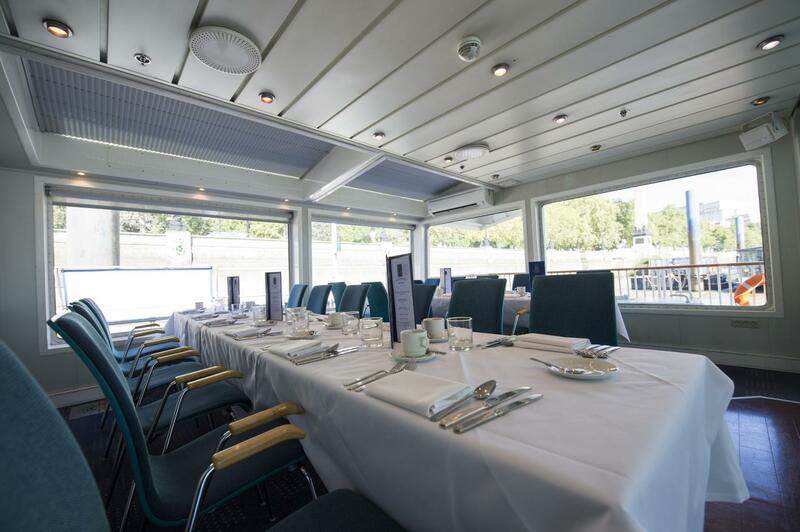 We can offer packages based on your needs, please send over your requirements and we can send a bespoke quote for you. 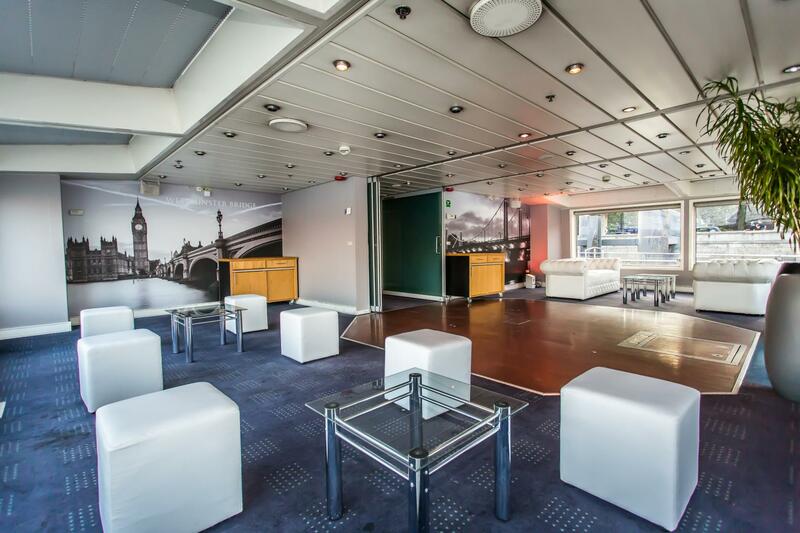 We also offer private charters which will usually be based on minimum spend or minimum numbers. 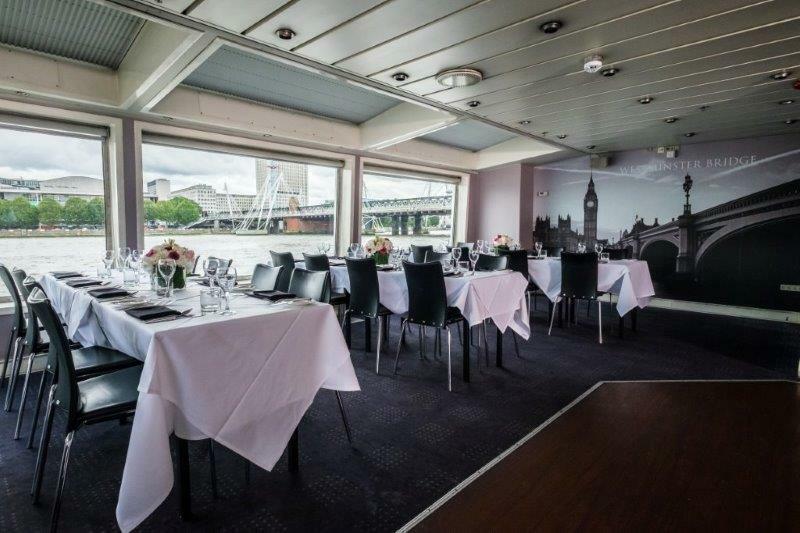 We can be somewhat flexible on prices, mentioning your budget will help us propose the best option for your needs. 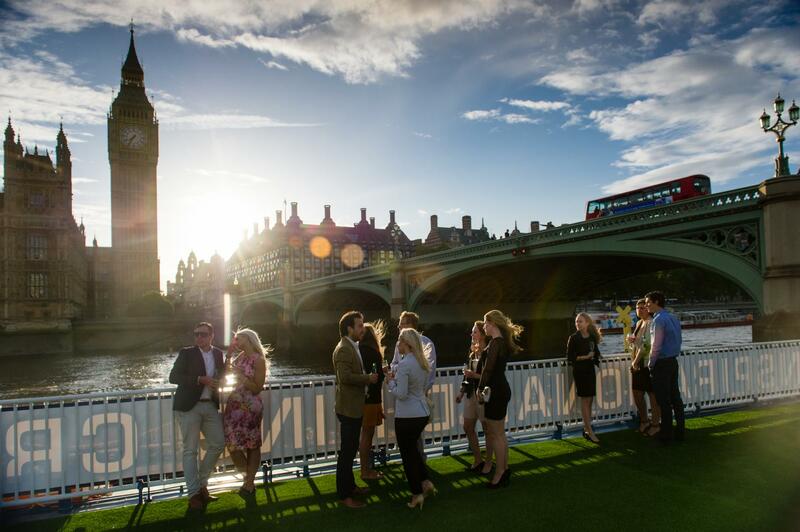 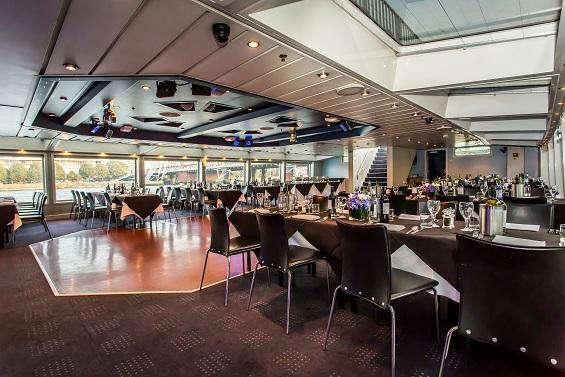 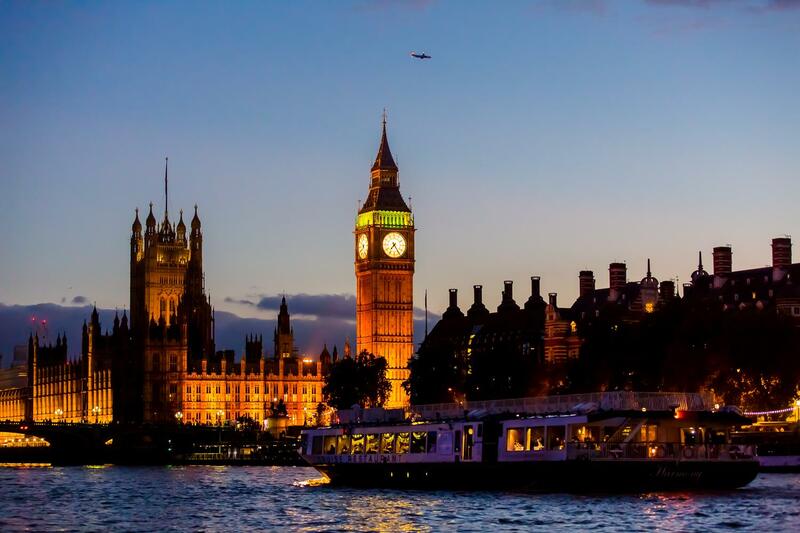 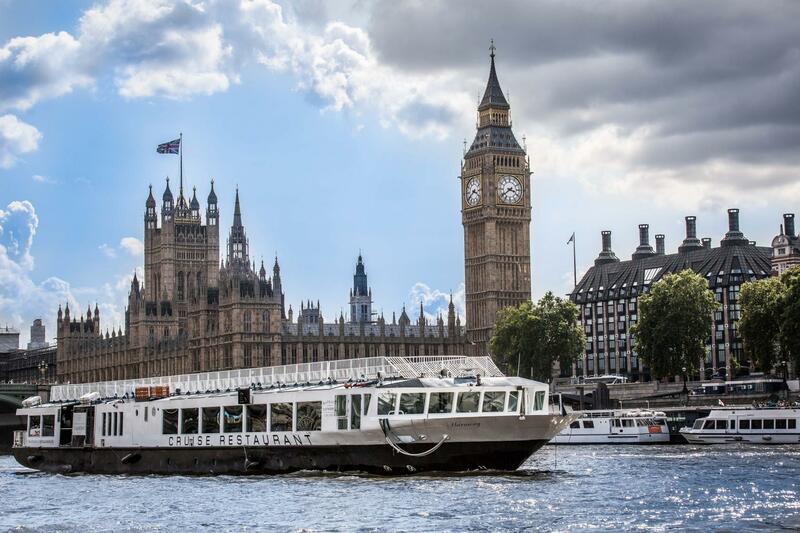 Bateaux London prides themselves on delivering every element of your event with the utmost care and attention to detail while cruising through the heart of the Capital. 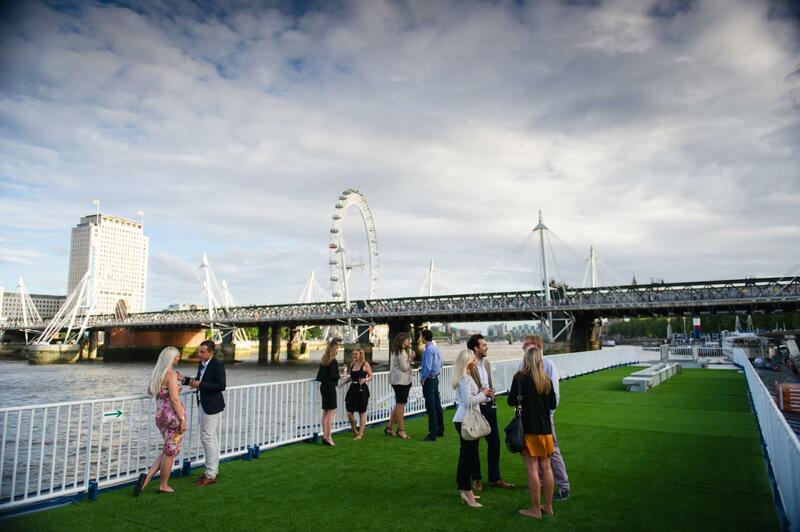 The Thames provides you with a stunning backdrop for your event with unrivalled views unlike any other venue. 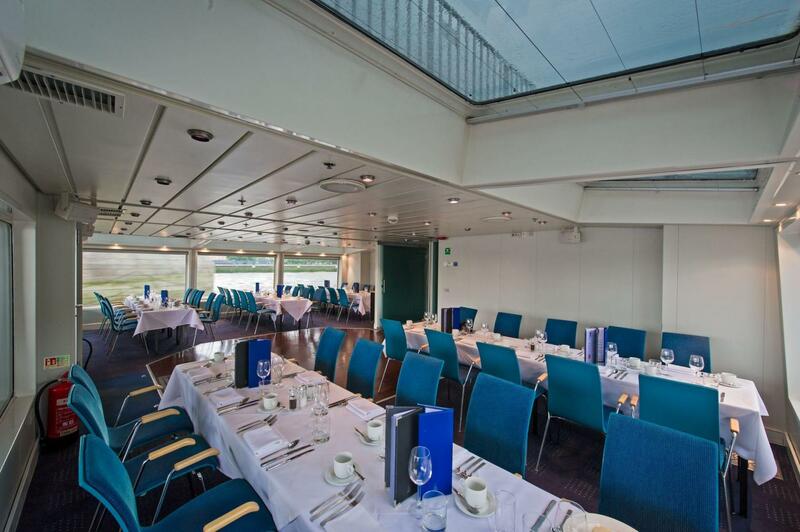 The main dining space on the Harmony will accommodate over 100 guests for a seated meal, there are also three private dining facilities for parties each benefitting from large windows affording spectacular views. 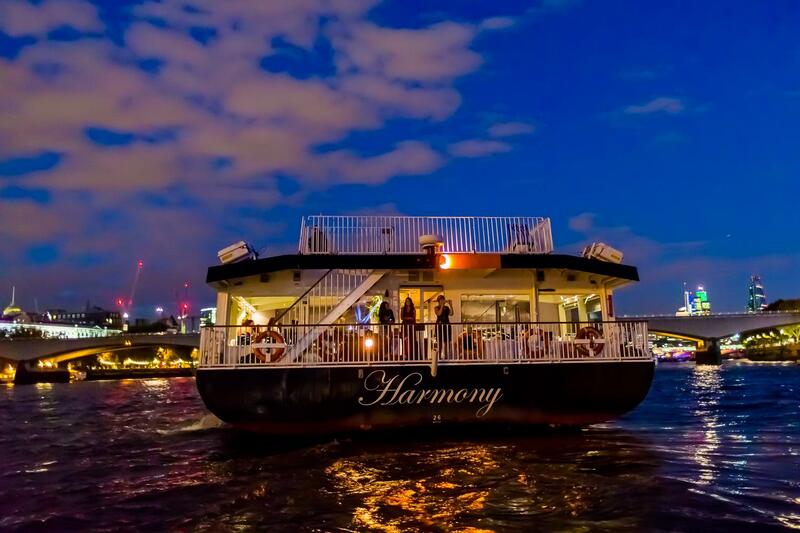 The Harmony also boasts the largest open deck space on the river Thames, of over 200 square metres.